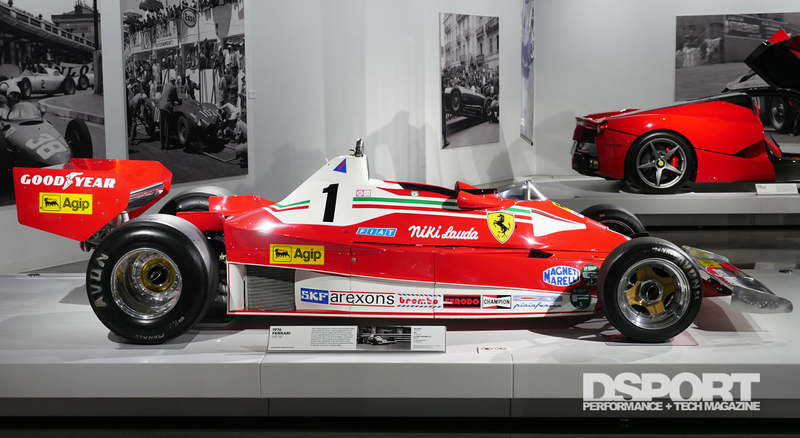 The Petersen Automotive Museum’s latest exhibit, celebrating 70 years of Ferrari, had me reflecting back on my childhood. 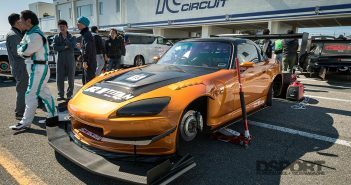 As a child, I fell immediately in love with cars. As I grew up I drew pictures of cars all the time (apparently on the walls too, as my mother told me on many occasions). One thing was a given, I always reached for my red crayon when I started drawing. 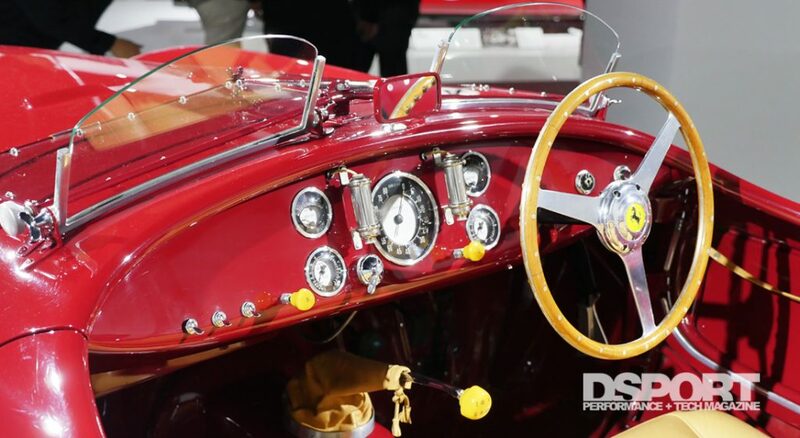 Even at five years old, red seemed like the correct color to render an automobile with. Red looked fast! My red crayon was always the first crayon to get completely worn down or break in half from drawing too hard on paper, and on the walls. 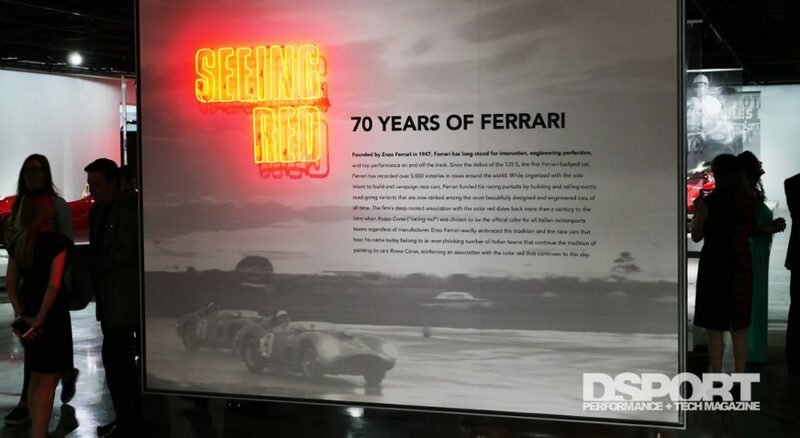 With that said, I was pleased to see The Petersen name the Ferrari exhibit “Seeing Red: 70 Years of Ferrari.” Although Ferrari cars come in a variety of colors, all the cars on display are fittingly red. 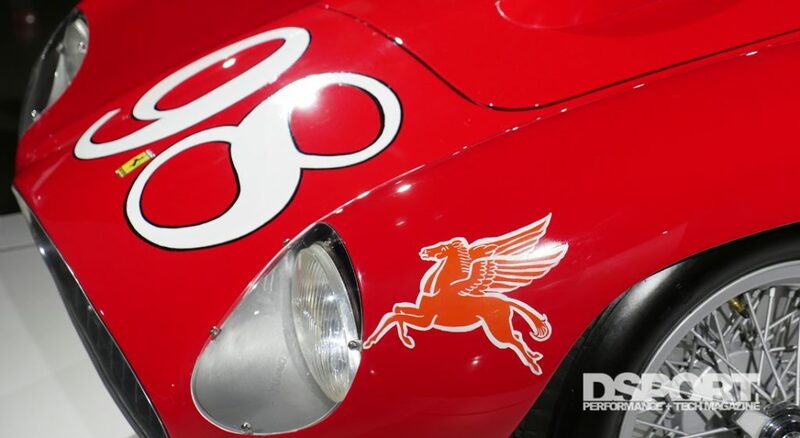 A color synonymous with the Maranello sports car manufacturer. Reflecting back, I can still remember the first time I saw a Ferrari. It was 1972, I was seven years old and my parents had just arrived home from a vacation in Europe. As gifts for my brothers, they purchased red Ferrari model cars from Italy. I was so excited. 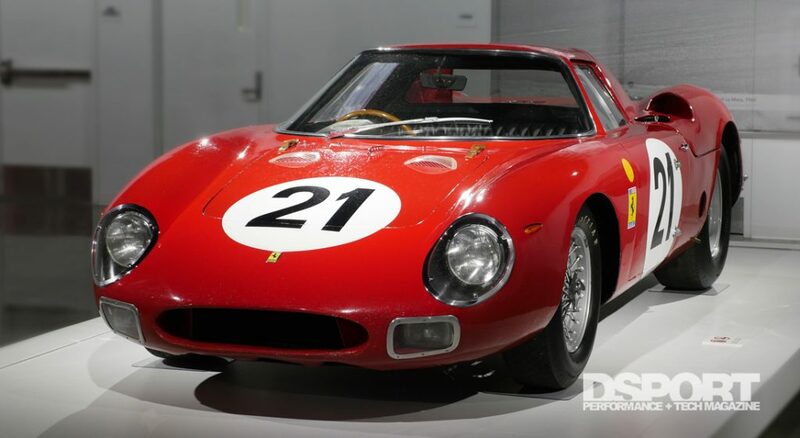 Even more so since those red Ferrari cars raced by on our new color TV as my dad watched the Monaco Grand Prix. Why all these memoirs of my past? 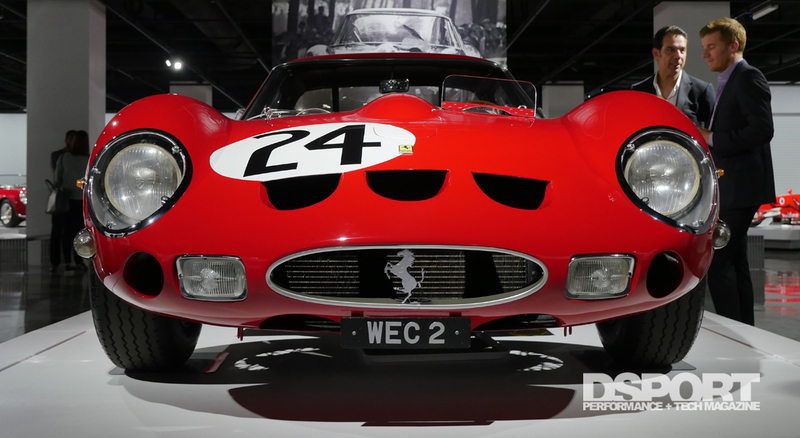 It’s hard not to enter a nostalgic mood as you walk around these beautiful red machines that shaped not only automotive history, but motorsport history as well. 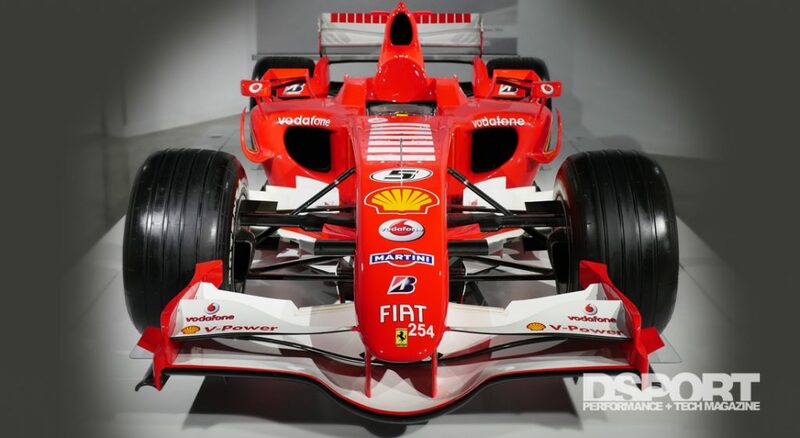 No other car manufacturer can claim they’ve entered every Formula One Grand Prix race since the series inception. 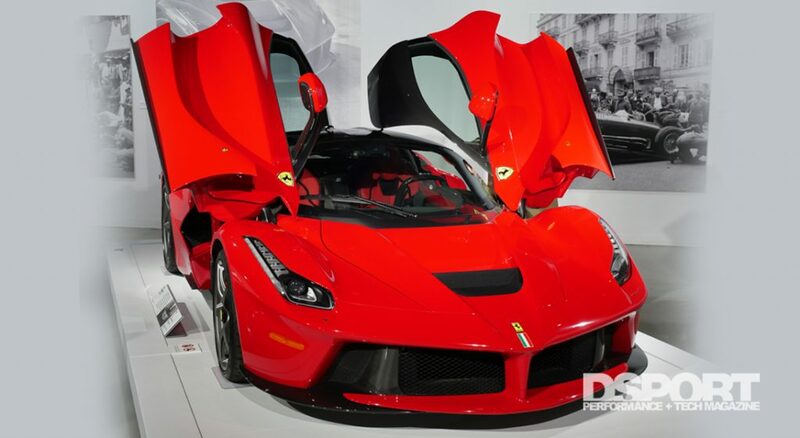 Ferrari has been and remains a top producer of beautifully designed high performance sports cars desired the world over. 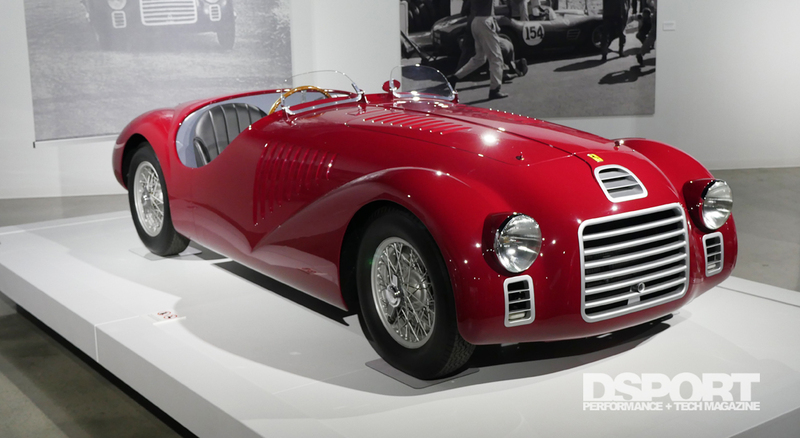 I can’t think of one performance car manufacturer that can come close to the cutting-edge design that Ferrari puts into every car. 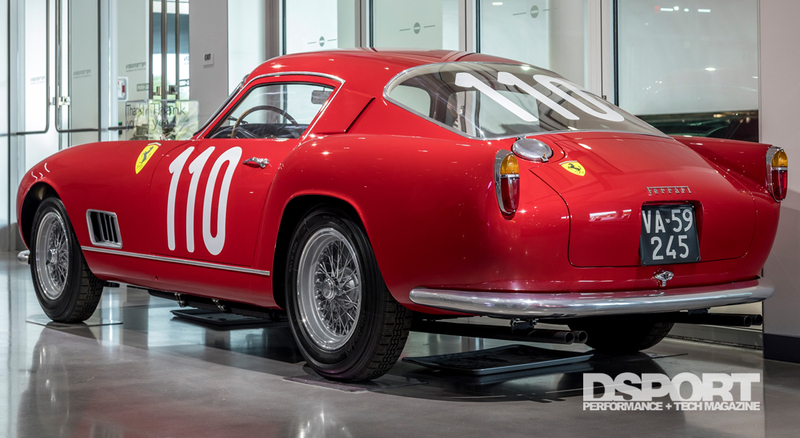 As 70 years has raced by, the yellow shield adorned with a prancing black stallion remains a key player in shaping automotive design trends and technology. 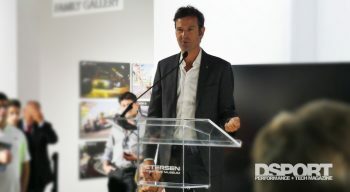 I had to be realistic to what the Petersen would have on display. 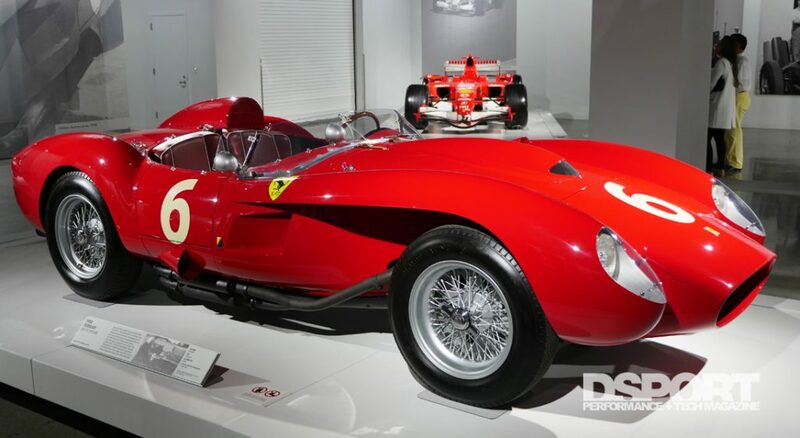 With seven decades of history, Ferrari has produced some of the most iconic and beautiful cars. 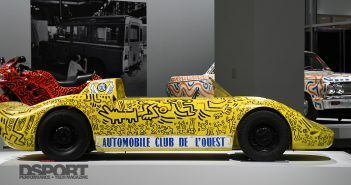 Only limited by space, what the Petersen was able to curate for this exhibition was a very pleasing mixture of both past and present. 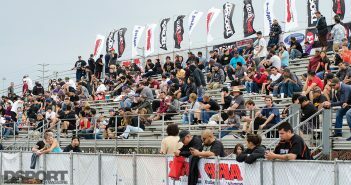 I’m sure all the knowledgeable car enthusiasts who witness this show will be very pleased with what is on display. I did my best not to say, “Where’s the 512 and the P4?.” We all have our favorites. I can say I came away happy that The Petersen has another home-run with this show.